This page was created to provide a way for my students to download electronic copies of the handouts used in various Bible Classes that I teach. However, I would invite anyone with an interest to use these in their personal study or teaching efforts. PDF copies of the handouts and notes for my Wednesday night class at Bellevue Church of Christ covering Unsolved Mysteries of the Bible. PDF copies of the handouts and notes for my Wednesday night class at Bellevue Church of Christ covering The Life of Joseph. PDF copies of the handouts and notes for my Wednesday night class at Bellevue Church of Christ covering The Life of Samson. PDF copies of the handouts and notes for my Wednesday night class at Bellevue Church of Christ covering Romans. PDF copies of the handouts and notes for my Wednesday night class at Bellevue Church of Christ covering Hebrews. PDF copies of the handouts and notes for my Wednesday night class at Bellevue Church of Christ covering The Parables of Jesus. PDF copies of notes from my Sunday Morning Young Professionals class at Bellevue Church of Christ covering Paul’s letter to the Romans. PDF copies of the handouts and notes for my Wednesday night class at Bellevue Church of Christ covering Paul’s Letter to the Galatians. PDF copies of the handouts and notes for my Wednesday night class at Bellevue Church of Christ covering The Holy Spirit. PDF copies of the handouts and notes for my Wednesday night class at Bellevue Church of Christ covering The Life of Peter. PDF copies of the handouts and notes for my Wednesday night class at Bellevue Church of Christ covering The Sermon on the Mount from Matthew 5 – 7. PDF copies of the “Questions for Discussion” and notes from my Wednesday night class at Bellevue Church of Christ covering the book of Ecclesiastes. This has been a powerful tool for me, and is something that I have shared with a number of classes through the years. 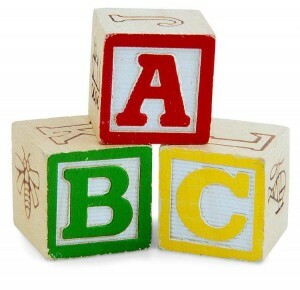 I’ve always challenged my students to come up with their own keywords, and the first link below is to a worksheet for creating your own ABC outline. PDF copies of the handouts and notes for my Wednesday night class at Bellevue Church of Christ covering The Life of Abraham. PDF copies of the handouts and notes for my Wednesday night class at Bellevue Church of Christ covering Paul’s letters to the Colossians and Philemon. PDF copies of the handouts and notes for my Wednesday night class at Bellevue Church of Christ covering Paul’s letter to the Ephesians. This study also includes a look at the planting of the church at Ephesus from Acts 18, 19, and 20. PDF copies of the handouts and notes for my Wednesday night class at Bellevue Church of Christ covering Paul’s letter to the Romans. PDF copies of the handouts and notes for my Sunday morning class at Bellevue Church of Christ covering Paul’s Letter to the Philippians. This study also includes a look at the planting of the church at Philippi from Acts 16. PDF copies of the handouts and notes for my Sunday morning class at Bellevue Church of Christ covering the book of James.